One of the things I enjoy most about cooking is the wonderful diversions you go down when figuring out a recipe and the surprises that await you at the end of those rabbit holes. I had one such experience when I wanted to recreate the Chelo Kebab recipe that made Peter Cat the institution it is (and a dish Priya and I had enjoyed at Copper Chimney too). But all Google searches for Chelo kebab recipes seem to lead to Iranian recipes (which made me believe that this may well have originated in Persia and not Park Street – I know fellow Bongs, it took me some time to come to terms with this too). All parochial jokes aside, the dish comes from Persia and the recipes I found were for a great, mildly spiced kebab that I decided to charcoal grill to infuse the spiced meat with all the smoke I could muster. And the kebabs turned out great. Without the zing and heat of the galawat and shami kebabs I have made at home before, but a much more delicate set of flavours. But what’s that got to do with a pleasant diversion you ask? It was the rice. Every Chelo Kebab recipe I found, waxed eloquent about a perfectly cooked rice dish to go with the kebab. 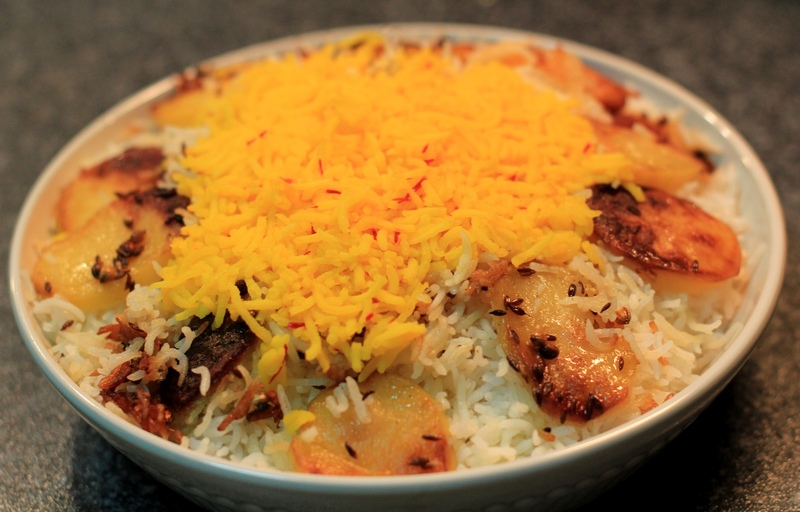 And the rice and the tadig (the crispy, crusty goodness at the bottom of the rice that families in Iran seem to fight over at meal times) seemed to be the star of the dish which surprised the meat lover in me. The basmati rice, plump, fluffy, every grain separate and finally – infused with generous helpings of butter in the cooking – was outstanding (with a top layer of saffron-infused rice for good measure). I have heard a lot about the jhojhore (grains separate in the rice and not a gloopy mass) from picky Bong eaters and didn’t appreciate what the big deal was. Till we tasted this rice….I now know what the big deal is all about! 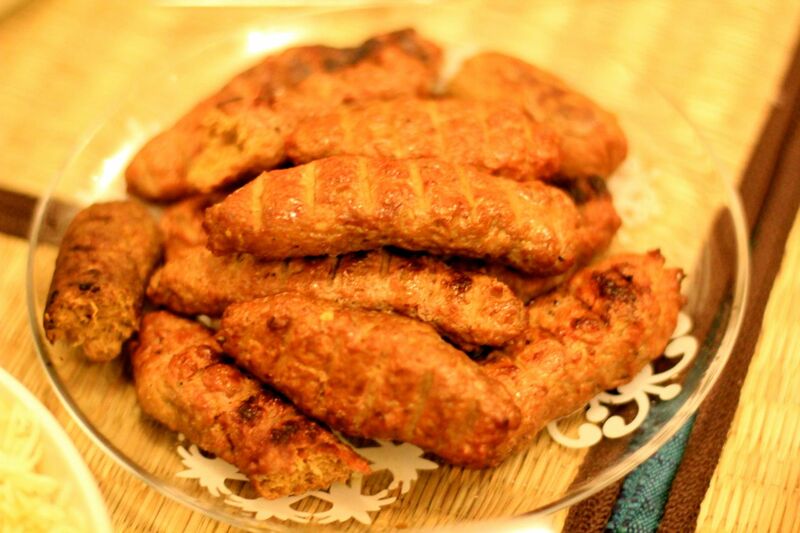 This entry was posted in Kolkata memories and tagged chargrilled kebab, iranian saffron rice. Bookmark the permalink.